Billy…..that rod holder assembly looks interesting. Are the 5 pvc tubes attached to a modified saddle bracket? Could you post a more closeup shot and description of how you have the assembly attached to the saddle. 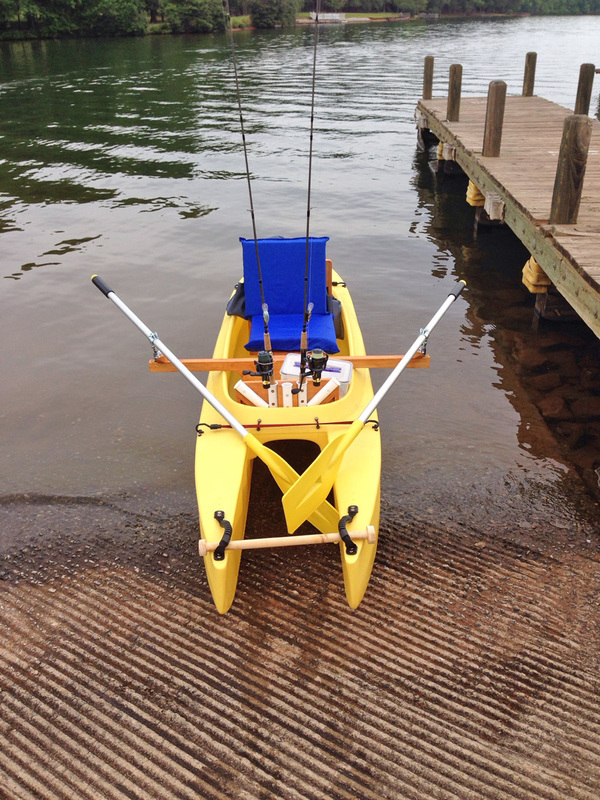 Next generation kayak, twin hulled canoe, stand-up stable paddle board, catamaran micro-skiff, low hp personal water craft, and, now, a car top rowing cat. Yes, Wavewalk is magic boat design. Though it can be classified many ways. In a way, it is in a class by itself. It is a new type of watercraft since the USPTO assigned us a utility patent for the invention that serves us as a technological basis for designing various W models.